Alan Powell uses this 9' skiff for fishing and exploring the Berowra Waters on the Hawkesbury River, north of Sydney, Australia. 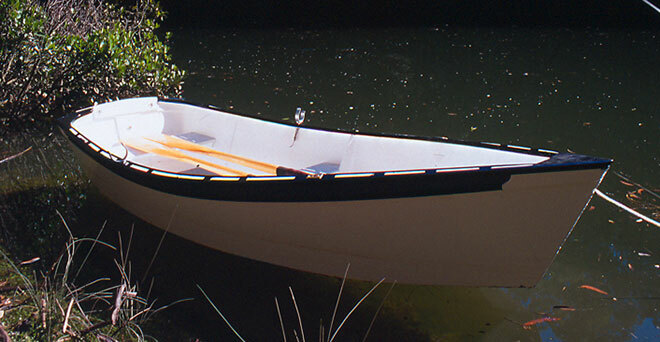 She is a Karl Stambaugh "Weekend Skiff 3" design that appears in the book Good Skiffs. Alan added a few embellishments in her construction, including inwales and quarter badges. PENNI was launched in November 2001.